Sea kayak tours in Ketchikan and Orcas Cove, Alaska. Small group sea kayaking tours with fun and friendly guides. Half day tours from Ketchikan for anyone who has ever dreamed of kayaking in Alaska. 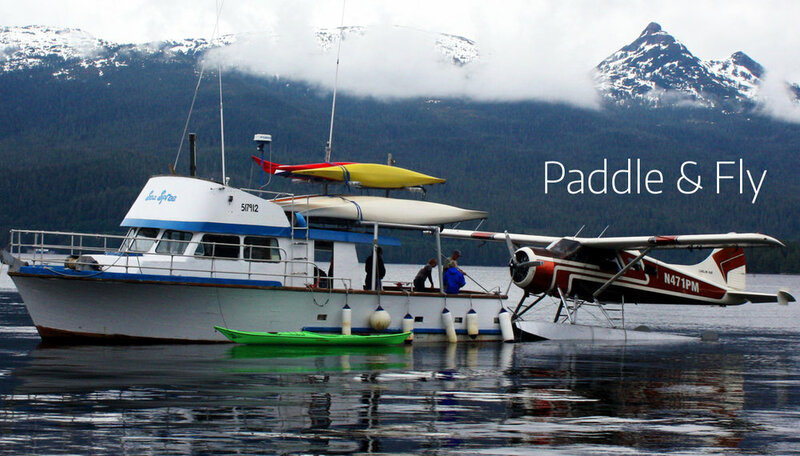 A local, family owned kayaking company specializing in small group sea kayak tours in Ketchikan and Misty Fjords. Greg Thomas started Southeast Sea Kayaks in Ketchikan over 20 years ago with a van and a couple of kayaks. We are a little bigger these days, but not too much bigger. We’ve stayed true to our independent spirit, so you won't find our tours sold aboard any cruise ships and our groups are still small and intimate. Need help deciding which tour is best for you? Tell us a bit about your trip and we'll help you find a tour and a time! Read Reviews of our kayak tours and check out Orcas Cove on Alaska Travelgram. See the video of Alaska Travelgram's visit to Orcas Cove.